Gravel comes in many different shapes and varieties and can be used for driveways, walkways, patios, and everything in between when it comes to landscaping. 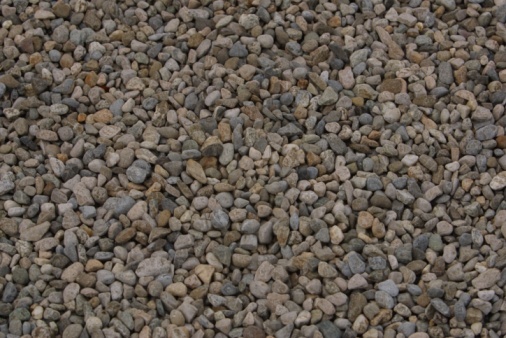 Two great choices of gravel are crushed rock and pea gravel. They are considerably different in appearance and despite having their own advantages and disadvantages, can be used in an assortment of different projects. The main difference between these two types of gravel is the size of the rocks. Pea gravel, as its name implies, is small. Generally the stones are around 1/4th of an inch in diameter. They have a smooth, rounded surface and come in many different soft colors such as light blue, light red and beige. Crushed rock, on the other hand is a little bit larger in diameter around 1/2 to 1 inch. The most exploitable trait of pea gravel is its appearance. The small, colorful rocks make for a colorful above-ground layer of rock in landscaping that is not hard on feet. One use of pea gravel is to create a walkway. Easy to set up and cheaper than a concrete pathway, pea gravel can be laid down in any garden for a pleasing aesthetic feel. Another cheap project is a backyard patio. Simply set out an area and lay down the gravel as a foundation for whatever the patio will hold. The most exploitable trait of crushed rock is quite different -- its durability. It is able to be applied as a foundation for a number of things, but one of the most frequent uses is for driveways. Instead of installing an expensive concrete driveway, an alternative is to lay crushed rock. It can perform just as well as concrete and adds a more attractive finish. In addition, a crushed rock driveway has stronger traction in any weather. The price of these two gravels depends greatly on how much is needed. It can be hard to estimate for things that are not easily definable like a walkway. Nevertheless, the best way to save money is to measure the area where you will place it and try to determine how much you'll need. Pea gravel costs around $120 dollars for 17.5 square yards. Crushed rock is more expensive ranging from around $180 for only 5 square yards.